Current: What is DEEP in Product Backlog? 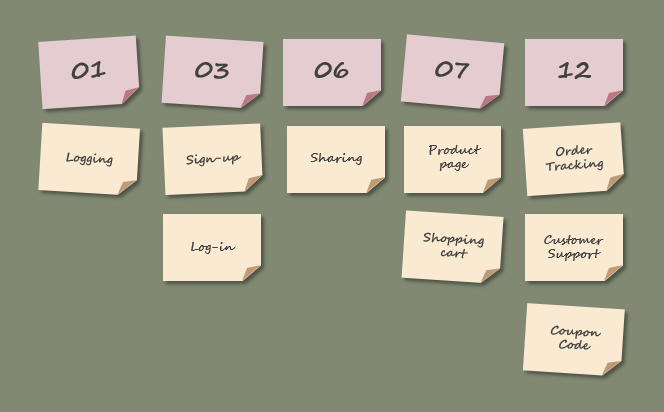 Product Backlog is an ordered list of everything that is known to be needed in the product. It is the single source of requirements for any changes to be made to the product.” The Product Owner is responsible for the Product Backlog, including its content, availability, and ordering. Product backlog is never finalized. Changes in business requirements, market conditions, or technology may cause changes in the Product Backlog. It continuously evolves as the product and the project environment evolves. 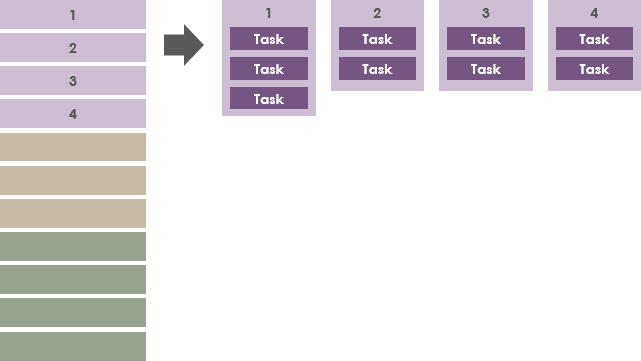 Requirements of a project is never stop changing, so a Product Backlog serves as a living Scrum artifact. The high priority items in the Product Backlog are fine grained and have more details as well as accurate estimates because of more information and greater details of those items. Items on the lower priority are big items with high level estimates. As the team gets more detailed information on lower priority items, these items are further split in to small items. The Development Team is responsible for the estimates of the items in the Product Backlog. 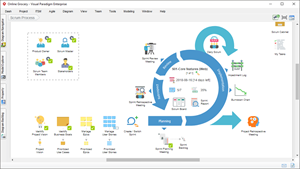 The Product Backlog lists all features, functions, requirements, enhancements, and fixes that needs to be developed for the product release. Product Backlog items have the attributes of a description (Detailed appropriately), Story points (Estimated), order (Prioritized) and they are continuously to be added, removed and updated (Emergent) in the backlog to reflected to understanding of the backlog of the team in just-in-time and just-enough manner. “Creating Products That Customers Love. We use the four-letter abbreviation DEEP to describe the characteristics of a good product Backlog.” Thus, the team “DEEP” is a descriptive acronym for the quality of a product backlog in Scrum that stands of: Detailed appropriately, Emergent, Estimated, and Prioritized. The items in the Product Backlog are estimated. 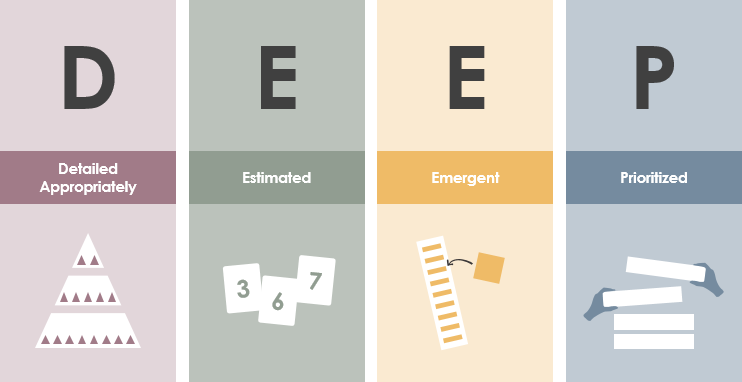 The items at the top of the backlog have more accurate estimates. The lower priority items are estimated at high level and can be re-estimated as team gets more information. Product Backlog is not static, it is in constant change. As the project progresses, more and more information and knowledge are obtained, and the user stories in the product Backlog are also added, removed, or rearranged. 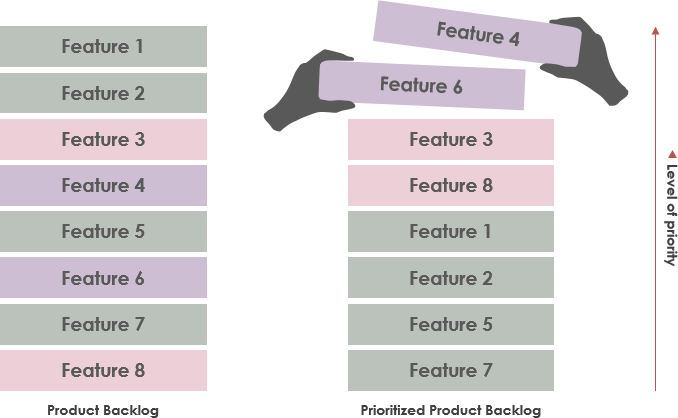 In the Product Backlog them, the more valuable the higher priority entry, above, the lower the value of the entries in the Product Backlog, the lower the priority, following in the Product Backlog. Teams always complete high-priority entries to ensure the value of the product or system being developed is maximized. 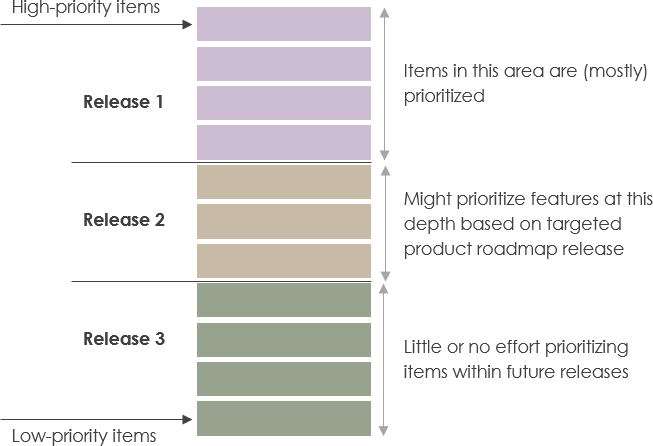 DEEP is a useful concept to be applied in the Product Backlog refinement process which involves the act of adding detail, estimates, and order to items in the Product Backlog and keeping it in shape. During Product Backlog refinement, items are reviewed and revised. The Scrum Team decides how and when refinement is done. Refinement usually consumes no more than 10% of the capacity of the Development Team. However, Product Backlog items can be updated at any time by the Product Owner or at the Product Owner’s discretion.